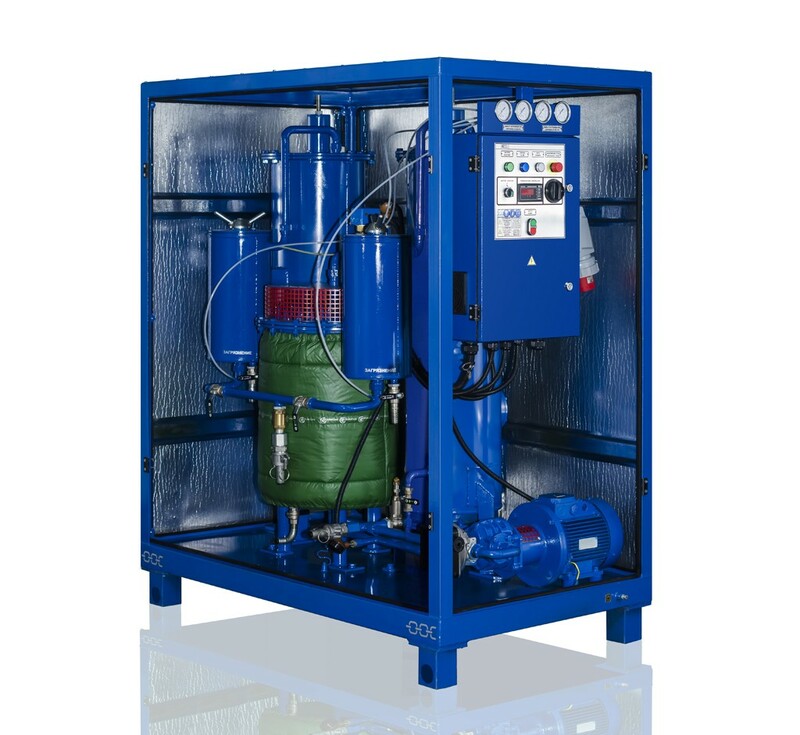 Mobile oil recycling station CMM-U is designed for purification of insulating oils from mechanical contaminants, water and acid. Oil viscosity should not exceed 70 cSt under the temperature of 500 C. This oil treatment unit can be used while assembling, maintaining and service works of oil-filled high-voltage equipment (such as power transformers, high voltage switches, turbines etc.) of less than 1150 kV voltage. CMM-U unit is manufactured both in single-section and in double-section frameworks. Double-section unit consists of Heating and filtering block BNF and Sorbent-filled cartridges block CP. Usage of different kinds of adsorbents (zeolite,silica gel transformer, fuller’s earth etc.) is the distinguishing technology of processing by means of mobile oil station CMM-U. Zeolites are crystalline hydraulic frame aluminium silicates. Distinguishing feature of Zeolite is its structural porosity. Zeolite differs from other mineral adsorbents such assilica gel transformer, activated aluminium bauxite or activated carbon by way of their homogeneous input into the adsorption chambers (to be of 3-10 Angstroms dimension respective of the zeolite type). Such inputs are called therefore the molecular sieves. The aforementioned inputs’ dimensions activate molecular sieve properties of the zeolites. These properties are revealed in adsorption molecules of diameter less than one of the adsorption chamber input. If using zeolite in one adsorbent column and silica gel transformer in another one during series mode it is possible to make the oil regeneration, providing oil dehydration and decolorization; acid number, optical density and ash content decreasing, removing of oil detritus and ageing residues.